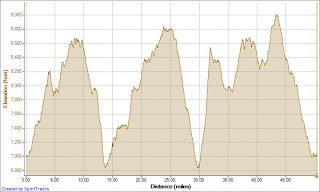 The elevation profile above if you noticed is just for the first 50 miles. We get to do two loops ! Woohooooo ! Hmmm, wonder what I've gotten myself into here? And why Tahoe Rim you might ask? There are a few reasons why I chose this particular race for my return to the 100 mile distance after an absence from the distance for several years. The first reason is simply because I think it is one of the most beautiful places in the country. I had always enjoyed seeing photos of the lake and I finally got the chance to see it in 2007 on my trip out to Western States. I spent a week in Nevada and California that year and took a day trip over Mt rose and down to Lake Tahoe. It was every bit as gorgeous as I had imagined and the mild summer temperature and lack of humidity caused me to fall in love with the place. I would be so happy to be able to spend my Summers there and get away from the oppressive heat and humidity of North Carolina. My friend, The Ultra Angel Jenn had been wanting to do a big beautiful 100 out West after having run at Umstead a couple of times so we agreed to look for one that we could both run. There were a couple of others we considered but the timing for this one and the chance of getting in easily made this one an easy choice. It also turned out to be a race with a 50k option that The Marathon Princess could run and is close enough to one of Frank's old friends home that we were able to convince them to make the trip too. and here is a link to Realendurance.com's section on Tahoe Rim. It takes a little bit for this page to load but it has a world of information and it's really cool because my blogpost appear on it ! This should keep you busy for awhile. I'll have another update before we leave. um wow Joey! 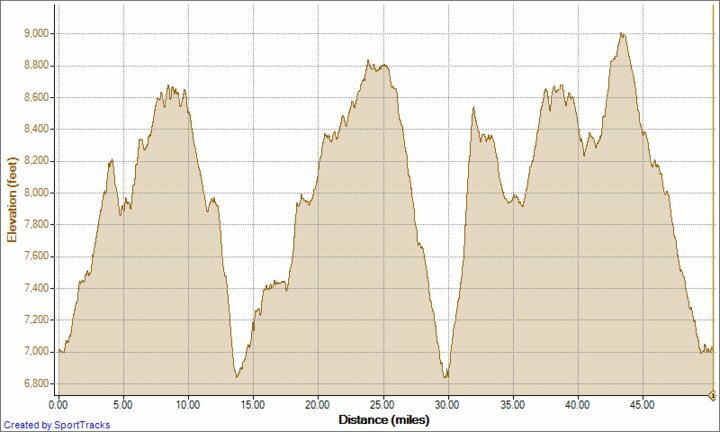 Uhhhh, the downhills look nice. lol. I bet that will be soooo pretty. What an experience. Have tons of fun and enjoy the low humidity!